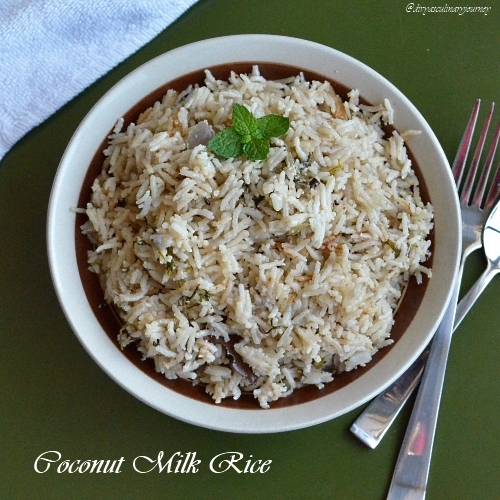 My today's recipe is Coconut milk rice. Few years back, we had rented a house in Chengalpet since it was close to Hubby's work. The house owner Aunty was a wonderful person and also a very good cook. 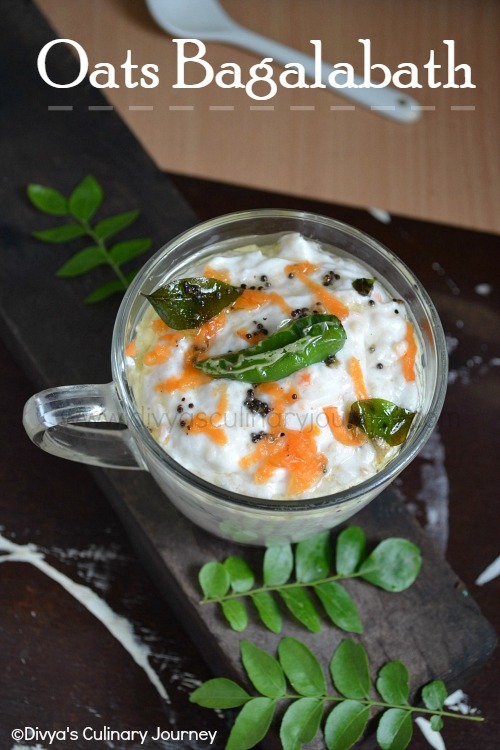 I learnt to make biryani and this coconut milk rice from her. We had a really good time there, but for his work when we had to come abroad, we had to vacate. Still we are in touch with Aunty. Whenever I think about Biryani or something I always think of her. She has a main role in polishing the way I cook. Most of the weekends I either make this rice or Biryani. This is a mildly flavored rice with spices and cooked in coconut milk. It pairs well with spicy side dishes. Last week I made this rice with Chicken Fry. 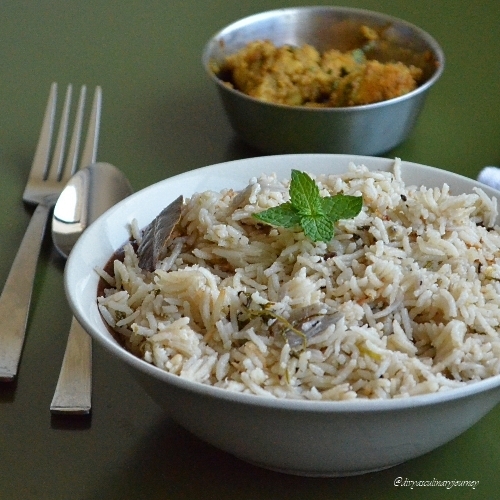 This flavorful pulao is made using mild spices and coconut milk. Bay leaves : 2 nos. Onion (Chopped) : 1 no. Soak basmati rice for 30 minutes.Then drain excess water and keep it ready. In a pressure cooker, heat oil, add fennel seeds, cloves, cinnamon, cardamom, bay leaves and fry them for 1-2 minutes. Then add chopped onions and slit green chillies and saute till the onions turn translucent. Then add the ginger garlic paste, mint leaves, cilantro and then cook for 2-3 minutes. Then add the rice, coconut milk and water, add salt to taste and pressure cook. When the cooker whistles, remove it from heat and keep it aside. Wait till the pressure releases and mix it gently. Serve with gravy of your choice. Love this rich n flavorful rice with any spicy gravy...looks inviting!! love the flavor of coconut milk in rice.. looks delicious..
Lovely idea to use coconut milk in rice...looks so delicious. Coconut milk rice looks delicious. Looks delectable. Rich with coconut milk, very flavorful dish. Rich and yummy flavors...Delicious rice..
Coconut milk gives a wonderful flavour to rice when cooked in them, lovely and delicious rice. This is our favorite puloa..looks very appetizing.. I like mildly flavored rices and this rice was prepared a lot at my paternal grand parents place when we were growing up. super!..I like these..wonderful ..will make these over the week end..I normally add grated coconut..these seem very flavorful. I can imagine how flavorful it must be. Looks so tempting!